Comes in a three-panel cardboard sleeve, including a 16-page booklet. This reissue ℗ & © 2014 Atlantic Recording Corporation, a Warner Music Group Company. All Rights Reserved. Manufactured & Marketed by Warner Music Group, 3400 W. Olive Ave. Burbank, CA 91505-4614. Printed in the U.S.A. Originally released on November 8, 1971. © 1971 Atlantic Recording Corporation - Manufactured & marketed by Warner Music Group - Made in U.S.A.
℗ & © 2014 Atlantic Recording Corporation - Manufactured & marketed by Warner Music Group - Made in U.S.A.
Track 2-1: Island No 2, London, December 5, 1970. Track 2-2: Rolling Stones Mobile, Headley Grange / Island No 2, London, January 30, 1971. Track 2-3: Rolling Stones Mobile, Headley Grange, January 29, 1971. Track 2-4: Island No 1, London, December 5, 1970. Track 2-5: Rolling Stones Mobile, Headley Grange, January 29, 1971. Track 2-6: Island No 2, London, November 2, 1970. Track 2-7: Rolling Stones Mobile, Headley Grange, January 29, 1971. Track 2-8: Rolling Stones Mobile, Headley Grange, May 19, 1971. 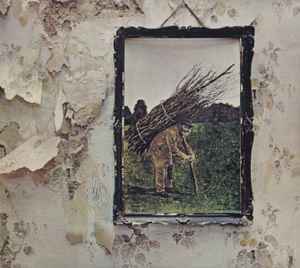 I bought the US single disc release of the 2014 Zeppelin IV remaster but I don't see a listing here for it.